The event will include passed hors d'oeuvres and drink specials that will get us ready for the Kentucky Derby! 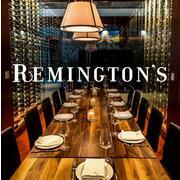 Join us for some end-of-the-week fun at Remington's! Tickets are $15 online in advance, or $20 at the door - hope to see you there!